In a courtroom, David Sloane can grab a jury and make it dance. 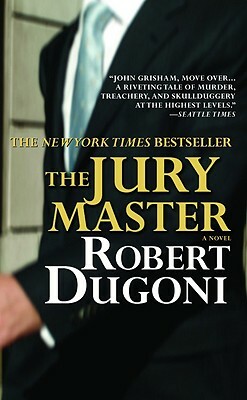 He can read jurors' expressions, feel their emotions, know their thoughts. With this remarkable ability, Sloane gets juries to believe the unbelievable, excuse the inexcusable, and return the most astonishing verdicts. The only barrier to Sloane's professional success is his conscience -- until he gets a call from a man later found dead, and his life rockets out of control. Robert Dugoni graduated from Stanford University with a degree in journalism and clerked as a reporter for the Los Angeles Times before attending the UCLA School of Law. He has practiced law in San Francisco and Seattle for 17 years. In 1999 he left full-time practice to return to writing and is a two-time winner of the Pacific Northwest Writers Association Literary Award. He lives with his wife and two children in Seattle.